While it is true that binary options has many advantages that make it an appealing prospect for traders, there is one big disadvantage with binary options. Once a trade has been placed, you have to wait for the trade to expire to know the trade outcome. I have found myself in a situation where I opened a Rise/Fall trade which was immediately in the money within 5 minutes. However I got my expiry dates all wrong and I watched helplessly as a contrarian effect hit my underlying asset and my position eventually reversed and ended up out of the money. This is a huge problem faced by many binary option traders. However, a solution has hit the markets. A few brokers have now made a departure from offering strict fixed odds in binary options to offering variable or flexible odds in the market. This feature allows a trader to either take profits before the expiry date, or cut losses before expiry. Let us use a practical example to illustrate this point. 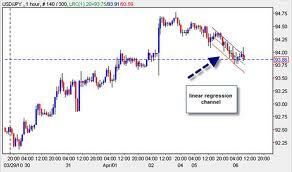 Let us assume that a trader purchased a binary options contract on an underlying asset such as the EURUSD. Perhaps the trader may have betted on a bearish move on the EURUSD, selecting a “Fall” trade on the Rise/Fall binary options variety on a Friday before market close. A possible factor that the trader may have considered is all the bad news from the Eurozone; the credit rating downgrades, threat of Greek default, sovereign debt issues in Italy or Spain, etc. He places the trade with extreme confidence, only to wake up on Monday morning to discover that events over the weekend have conspired against his trade. Perhaps the Eurozone financial ministers met in Brussels and took some far-reaching decisions that the markets interpreted as being Euro – positive. Seeing that his expiry was set at Monday close, the trader may realize that his trade may just end up on the losing side and cause him to lose his money. This is where the Take Profit feature comes to the rescue. If the trader wakes up on Monday and sees that his profit has dwindled from 45% on Friday close to just 13% two hours after market open on Monday, he can decide to lock in the remaining profits before the Monday close expiry. Usually, there is a cost to using this feature, and the trader may have to pay a fee to be able to lock in profits before time. In addition, traders must remember that underlying assets may not be available for lock-in of profits all the time or the process would be severely abused. Usually, there are specific times during which profits can be locked in. There are also restrictions on how often a trader can lock in profits in a day, and usually lock-in of profits may only be available for some underlying assets and not for others. We may also see restrictions that allow a trade to lock-in profits only if he has been in that trade for a specific amount of time. Whatever the restriction, we have to applaud the benevolence of some brokers like AnyOption that allow traders to use this feature. It is a lot better to be able to conserve profits some of the time rather than not being able to do it at all. So if you are interested in adding this feature as one of the things you would desire to see in your trading platform, consider searching the internet for a suitable broker.